If you’re a fan of surf and turf, you may be wondering which seafood and meats pair best together. Along with the standard combos, there is a wide range of other dishes that taste just as delicious. The following are a few tasty pairings to sample when you’re dining at your favorite seafood restaurant. Shrimp is a standard pairing with grilled steak. This recipe can also work double-duty with shrimp and steak tacos, which perfectly complement each other in terms of taste as well as texture. Along with this classic surf and turf combination, tacos can be rounded out by adding avocado, salsa, lime, and plenty of cilantro. It’s pretty much a fact that bacon makes everything better. While scallops are pretty amazing on their own, these flavorful mollusks really come alive when accompanied by crispy bacon. 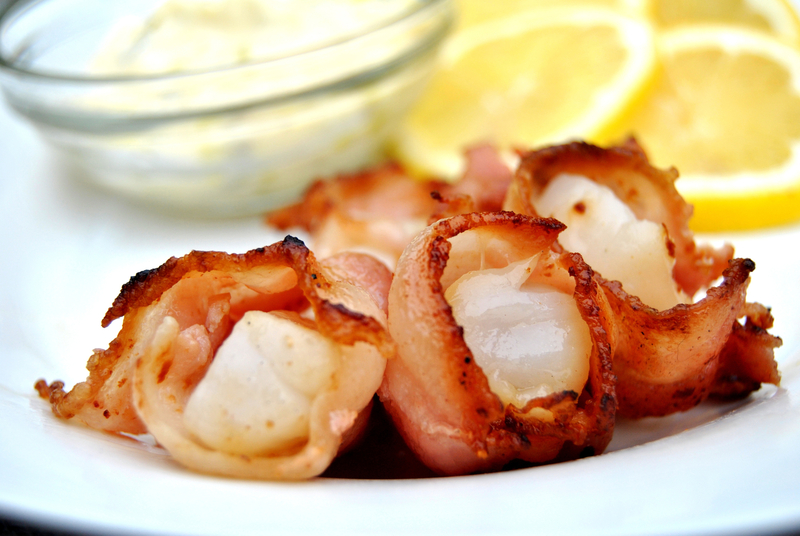 The rich fatty texture of scallops is perfectly offset by bacon, which is why this dish is a favorite of seafood lovers everywhere. Grilled chicken is a tasty dish that’s also healthy for you. Adding shrimp to chicken skewers only amplifies the flavor experience, especially when both are accented by Caribbean-inspired jerk seasoning. Vegetables like onions, tomatoes, and peppers are an ideal way to round out your skewers, especially when they’re grilled to perfection. In Harlem, NY, Lolo's Seafood Shack offers an amazing selection of Caribbean-flavored seafood dishes that exemplify island freshness right in the city. Along with tasty steam pots featuring snow crab and shrimp, they also offer ribs covered in jerk seasoning and surf and turf, which is made from the ground seeds of the Bixa Orellana shrub. Other favorites include seafood boils, fish and chips, and street corn. They even offer event catering, which is excellent for holiday gatherings with loved ones or work friends. Stop by or call (646) 649-3356 for more information on hours and location. You can also check out the menu by visiting the website.